UMBC swimmer Alexander Gliese ’19, mechanical engineering, captured his first national title at the Danish Open by winning the 200m backstroke. 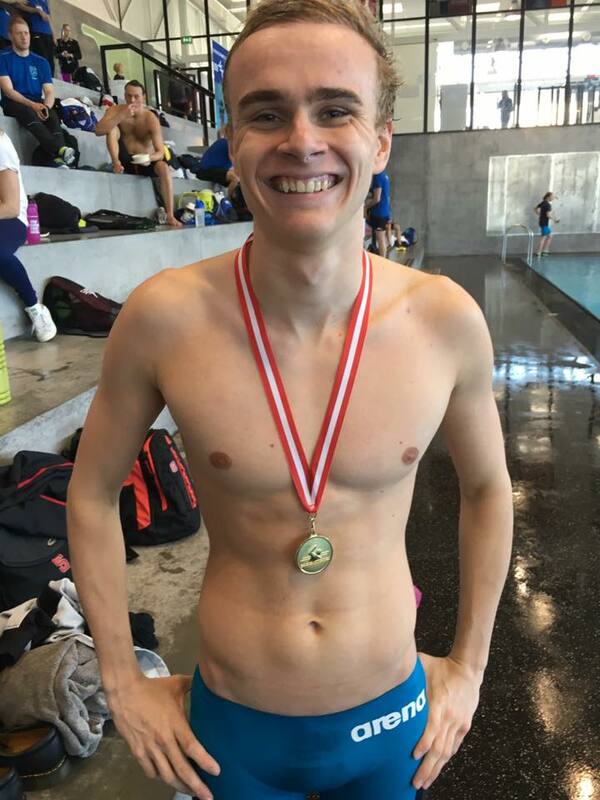 In addition to his 200m backstroke win, with a time just two seconds off the Danish record, Gliese also placed fourth in the 50m backstroke. Gliese’s standout performance at the Danish Open follows a strong season where both UMBC’s men’s and women’s swimming and diving teams won conference championships for the second consecutive year and Emily Escobedo ’17, psychology, won bronze in the 200m breaststroke at the NCAA finals. Photo: UMBC pool, by Marlayna Demond ’11 for UMBC (header image), and Alexander Gliese with a Danish national medal, by Chad Craddock (second image).